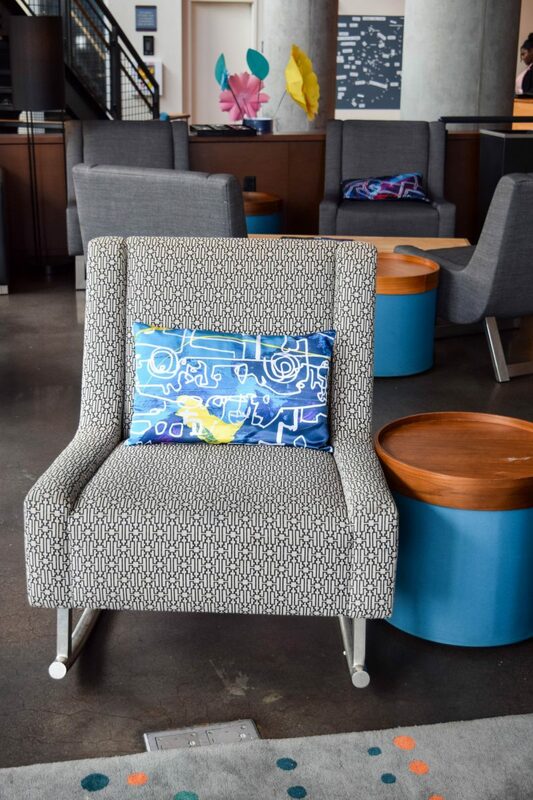 Sometimes a staycation is just what you need and this past weekend I was able to have a staycation of my own close to home at the Aloft Boston Seaport. 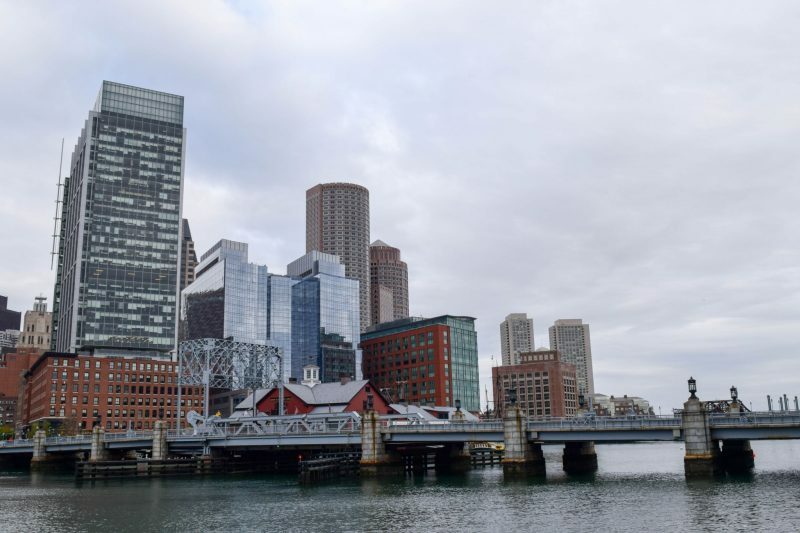 The Seaport is Boston’s newest neighborhood of sorts and there are new restaurants and shops opening there by the day- literally. 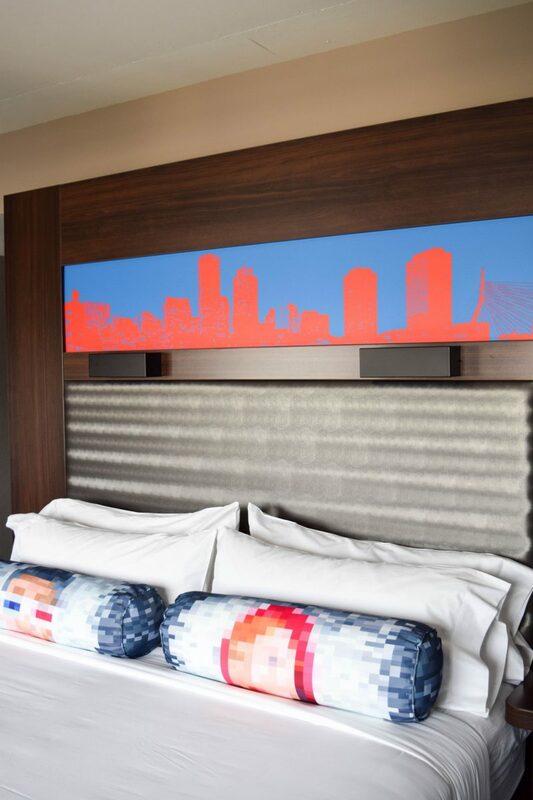 After the Aloft Boston Seaport hosted me, it made total sense that this cool and modern hotel that seems perfectly designed for a millennial is located in the Seaport. Upon checking in, I couldn’t help but love the colorful lobby and decor. 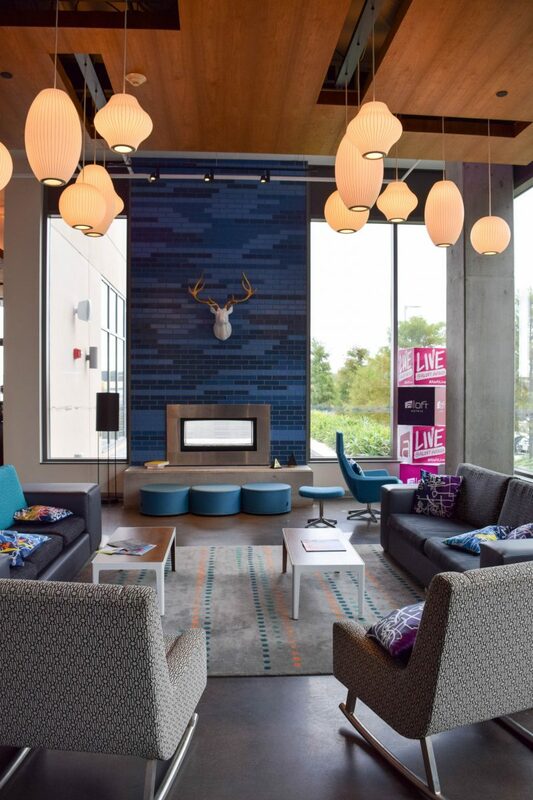 Instead of muted neutrals like many hotels , Aloft Boston Seaport is bright and fun! Certainly a plus! 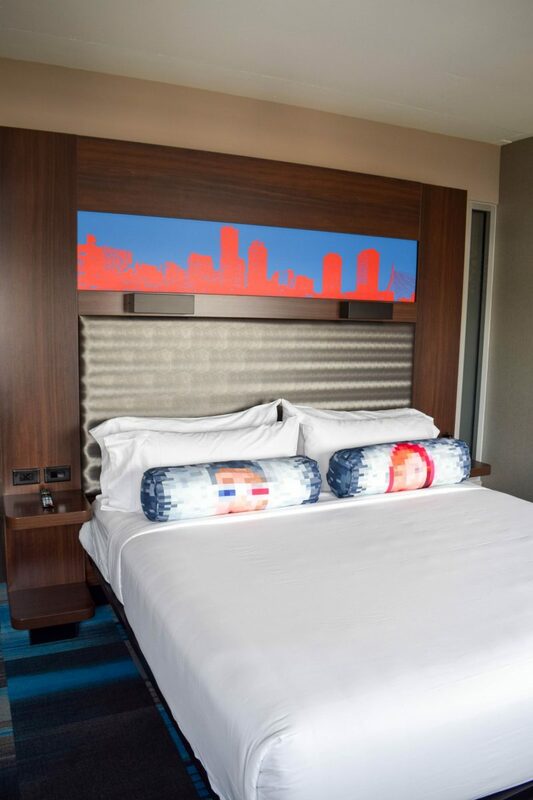 There are so many reasons why a stay in Boston’s Seaport at the Aloft is a great way to spend a weekend in Boston- either as someone visiting from out of town or just doing a staycation like me. I already said this, but the Aloft was bright, colorful and fun! The lobby area was awesome with a cozy fireplace at night, a bar and lots of games to play (like Jenga and Tic Tac Toe) for a fun night in. The rooms were just as bright with lots of natural light and a great view of Boston’s entire skyline plus Lawn on D.
Recently Social Register opened up inside the hotel and it was another cozy spot for a drink after 4 PM. With big leather chairs and couches as well as a gorgeous bar, I could see myself coming back there for a drink or dinner regardless of staying at the hotel or not! I may be biased since I live about a mile away from the Aloft Boston, but this location is one of the best in Boston! 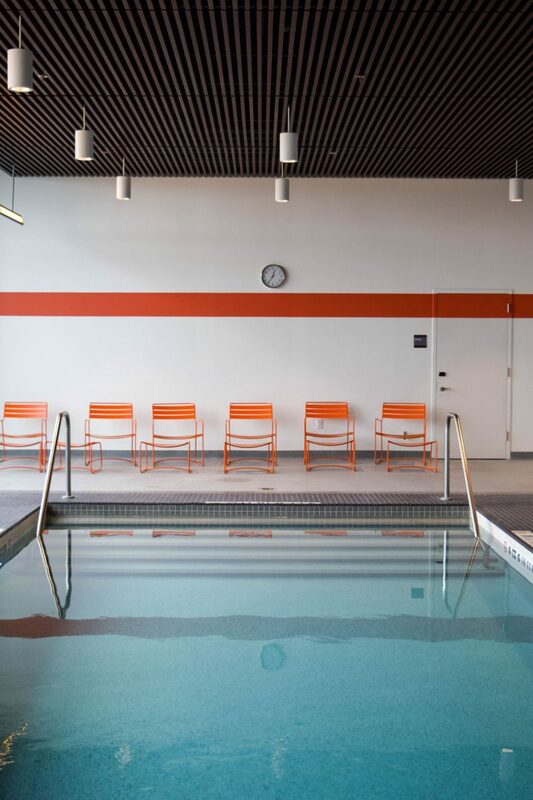 You’ve got the water close by, an easy walk from some awesome sites in Boston and public transportation. 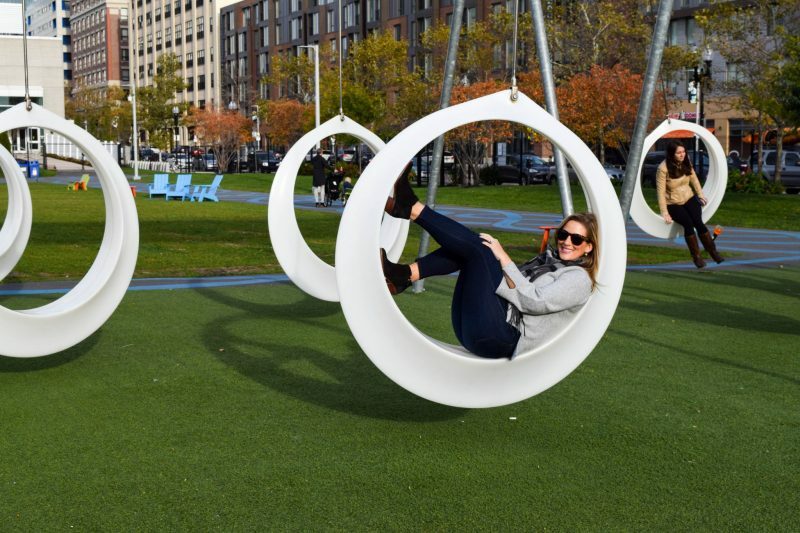 The hotel is also right across the street from the Lawn on D. If you are visiting Boston during the spring or summer, it would be ideal to be located right across from this park with easy access to the very Instagramable swings there. 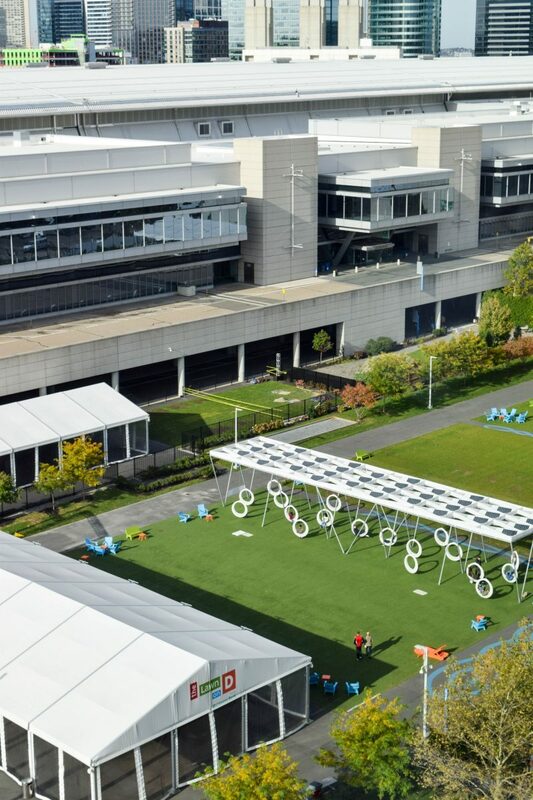 The hotel is also extremely close to the Boston Convention Center so if you happen to be visiting for business, it could be a fantastic option as well. Boston’s Seaport is home to lots of great restaurants and like I mentioned earlier new ones are opening just about every day. Whether you are looking for something fast- like Sweetgreen, by Chloe or Shake Shack- or more of a special dinner at one of Barbara Lynch’s spots, you can find just about any type of cuisine and any level of fancyness in the neighborhood. We spent our night grabbing dinner at Sportello– I had the most amazing gnocchi. 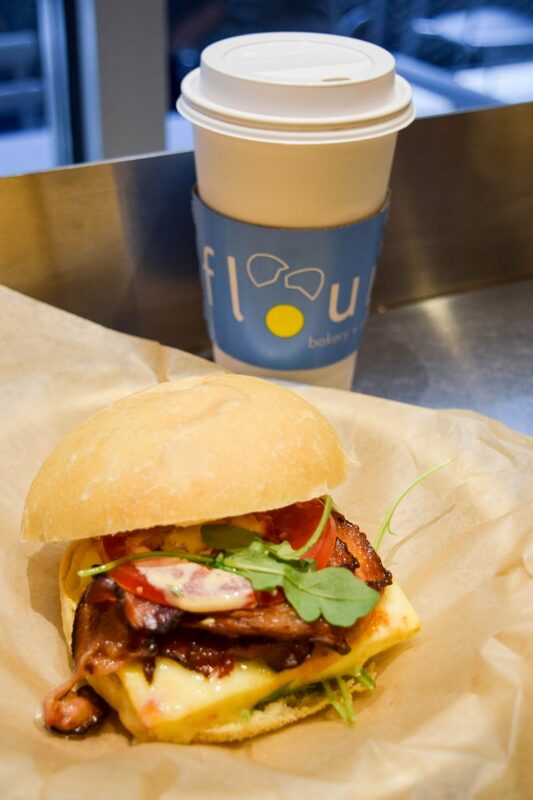 Of course couldn’t pass up a walk to Flour for their breakfast sandwich the next morning either! You’ll definitely leave satisfied if you eat your way through the Seaport! 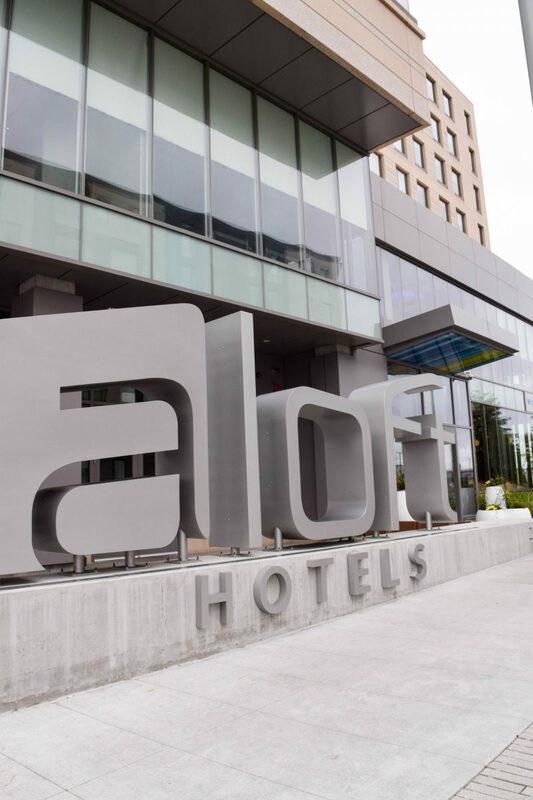 If you are looking for a place to stay in Boston’s Seaport, I would definitely recommend Aloft! Their colorful and fun decor in one of the city’s best locations makes for an amazing way to spend a stay in my city of Boston! 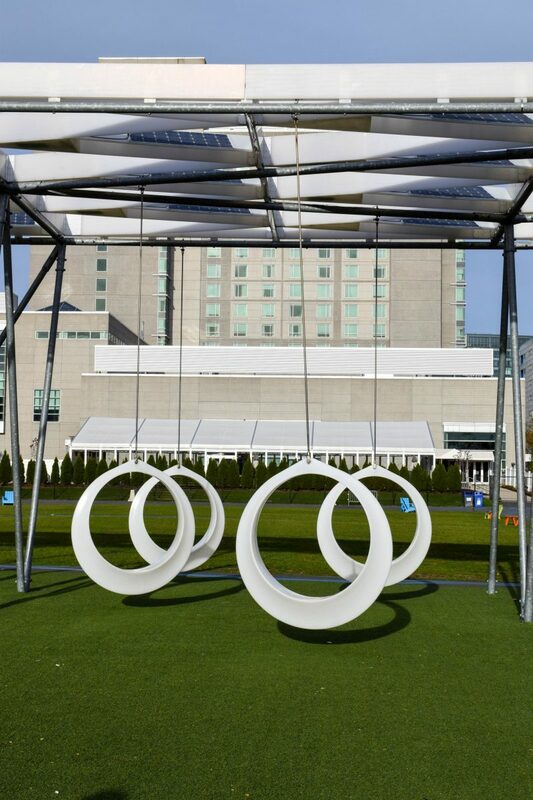 I received a complimentary stay from Aloft Boston Seaport in exchange for my review. All opinions and images are my own. I have not stayed here but I checked out the lobby when I was at the Social Register, definitely a fun space!! Glad you enjoyed your staycation. 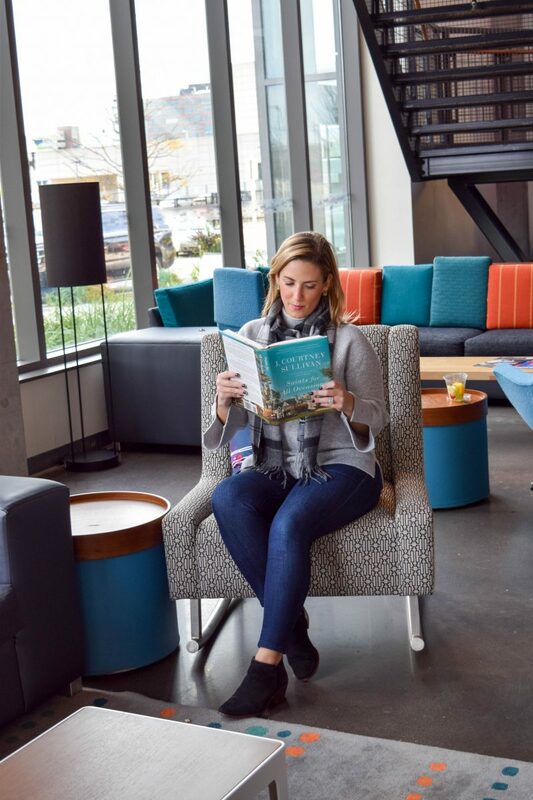 Aloft looks so bright, cheery and cozy! It’s on my list for a staycation … now I just need to get around to it. It’s so colorful and cute! Hope you get the chance to stay there soon! It looks like such a cozy hotel! I want to stay there on our next trip up to Boston! You would love it! I hope you get the chance to stay!